I thank Linda for this mouthwatering delicacy. 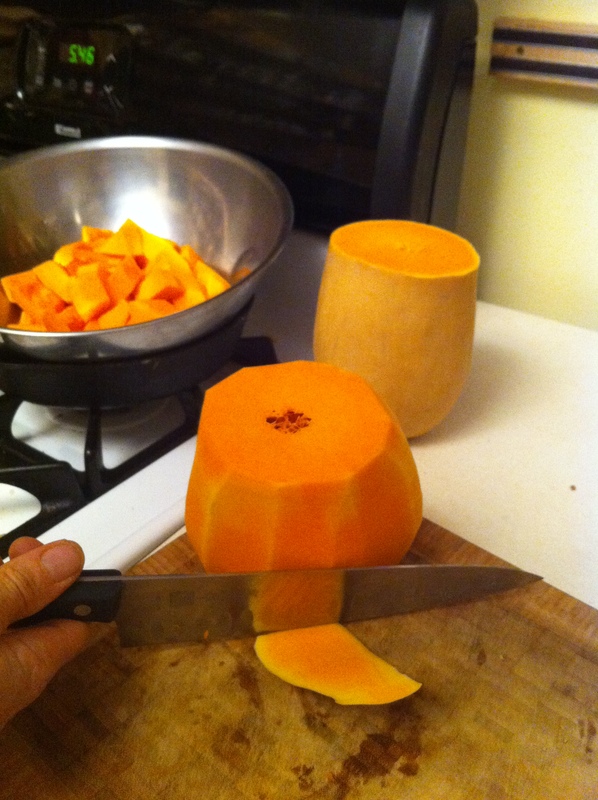 peel* and chop one butternut squash into 1 ½ inch cubes. 1 ½ t kosher salt. then cut across the middle where the squash flairs out. place flat side down on cutting board and use a sharp chef’s knife to slice the peel off from top to bottom. 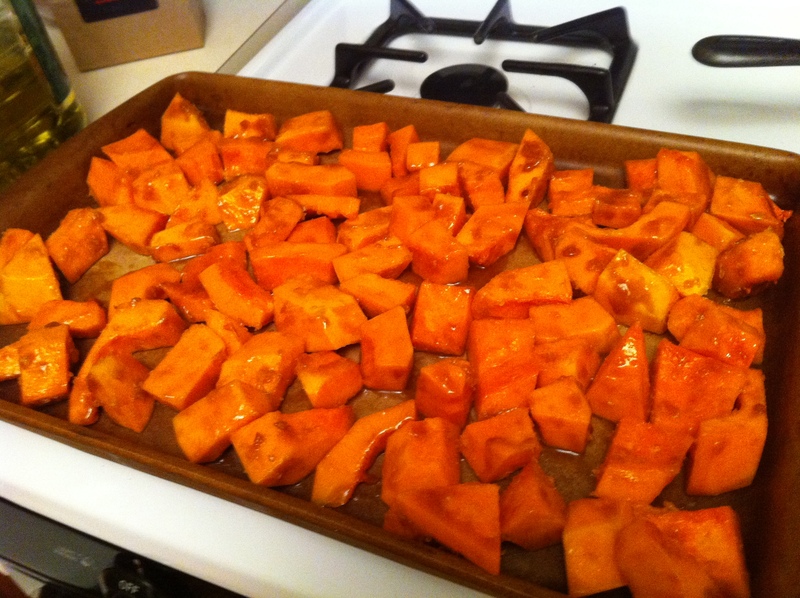 This entry was posted in Recipes, Side dishes and tagged Gluten-free, local. Bookmark the permalink. Both comments and trackbacks are currently closed.